We’ve compiled the most frequently asked accounting interview questions along with what we believe are the best answers. The key to acing an interview is practice, so be sure to check out our interview guides for financeFinance Interview QuestionsFinance interview questions and answers. This list includes the most common and frequent interview questions and answers for finance jobs and careers. There are two main categories are behavioral and technical, FP&AFP&A Interview QuestionsFP&A interview questions and answers. This list includes the most common interview questions used to hire for Financial Planning and Analysis (FP&A) jobs such as analyst and manager positions. Based on extensive research and feedback from professionals at corporations, this list has the most likely interview questions, equity researchEquity Research Interview QuestionsEquity research interview questions and answers. This list includes the most common interview questions used to hire an equity research analyst or associate. If you had $1 million to invest, what would you do with it? - Tell me about a company you admire and what makes it attractive. - Pitch me a stock, and more. #1 Walk me through the three financial statements. The balance sheet shows a company’s assets, its liabilities, and shareholders’ equity. The income statement outlines the company’s revenues and expenses. The cash flow statement shows the cash flows from operating, investing, and financing activities. #2 If I had only one statement and wanted to review the overall health of a company, which statement would I use and why? Cash is king. The cash flow statement gives a true picture of how much cash the company is generating. That being said, it’s important to note that all three statements truly are required to get a full picture of the health of a company. Learn more about how the three financial statements are linkedThree Financial StatementsThe three financial statements are the income statement, the balance sheet, and the statement of cash flows. These three core statements are intricately linked to each other and this guide will explain how they all fit together. By following the steps below you'll be able to connect the three statements on your own..
#3 What happens on the income statement if inventory goes up by $10? Nothing. This is a trick question. The only impact will be on the balance sheet and cash flow statementStatement of Cash FlowsThe Statement of Cash Flows is one of the 3 key financial statements that reports the cash generated and spent during a specific time period, it acts as a bridge between the income statement and balance sheet. #4 What is working capital? Working capital is typically defined as current assets less current liabilities. In banking, working capital is normally defined more narrowly as current assets (excluding cash) less current liabilities (excluding interest-bearing debt). #5 What does having negative working capital mean? Negative working capital is common in some industries such as grocery retail and the restaurant business. For a grocery store, customers pay upfront, inventory moves relatively quickly but suppliers often give 30 days (or more) credit. This means that the company receives cash from customers before it needs the cash to pay suppliers. Negative working capital is a sign of efficiency in businesses with low inventory and accounts receivable. In other industries, negative working capital may signal a company is facing financial trouble. #6 If cash collected from customers is not yet recorded as revenue, what happens to it? It usually goes into “Deferred Revenue” on the balance sheet as a liability if the revenue has not been earned yet. #7 What’s the difference between deferred revenue and accounts receivable? Deferred revenue represents cash received from customers for services or goods not yet provided. Accounts receivable represents cash owing from customers for goods/services already provided. #8 When do you capitalize rather than expense a purchase? If the purchase will be used in the business for more than one year, it is capitalized and depreciated. #9 Under what circumstances does goodwill increase? When a company buys another business for more than the fair value of its tangible and intangible assets, goodwill is created. #10 How do you record PPE and why is this important? There are essentially four areas to consider when accounting for PP&E on the balance sheet: initial purchase, depreciation, additions (capital expenditures), and dispositions. In addition to these four, you may also have to consider revaluation. For many businesses, PP&E is the main capital asset that generates revenue, profitability, and cash flow. #11 How does an inventory write-down affect the three statements? On the balance sheet, the asset account of inventory is reduced by the amount of the write-down, and so is shareholders’ equity. The income statement is hit with an expense in either COGS or a separate line item for the amount of the write-down, reducing net income. On the cash flow statement, the write-down is added back to CFO as it’s a non-cash expense but must not be double counted in the changes of non-cash working capital. #12 What are three examples of common budgeting methods? Examples of common budgeting methods include zero-based budgetingZero-Based BudgetingZero-based budgeting (ZBB) is a budgeting technique that allocates funding based on efficiency and necessity rather than on budget history. Management starts from scratch and develops a budget that only includes operations and expenses essential to running the business; there are no expenses that are automatically added to the budget., incremental budgeting, and value-based budgeting. Learn more about the various types, in CFI’s budgeting and forecasting course. The revenue recognitionRevenue Recognition PrincipleThe revenue recognition principle dictates the process and timing by which revenue is recorded and recognized as an item in the financial statements. principle dictates the process and timing by which revenue is recorded and recognized an item in the financial statements based on certain criteria (e.g., transfer of ownership). The matching principle dictates that the timing of expenses be matched to the period in which they are incurred, as opposed to when they are actually paid. #14 If you were CFO of our company, what would keep you up at night? Step back and give a high-level overview of the company’s current financial position, or companies in that industry in general. Highlight something on each of the three statements. Income statement: growth, margins, profitability. Balance sheet: liquidity, capital assets, credit metrics, liquidity ratios. Cash flow statement: short-term and long-term cash flow profile, any need to raise money or return capital to shareholders. 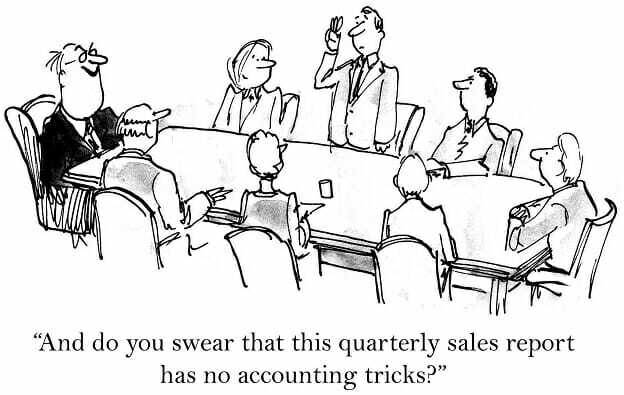 Thank you for reading CFI’s guide to accounting interview questions. If you want to land the accounting job of your dreams then interview prep is key. That’s why we’ve designed special guides to help you prepare with practice questions and answers.